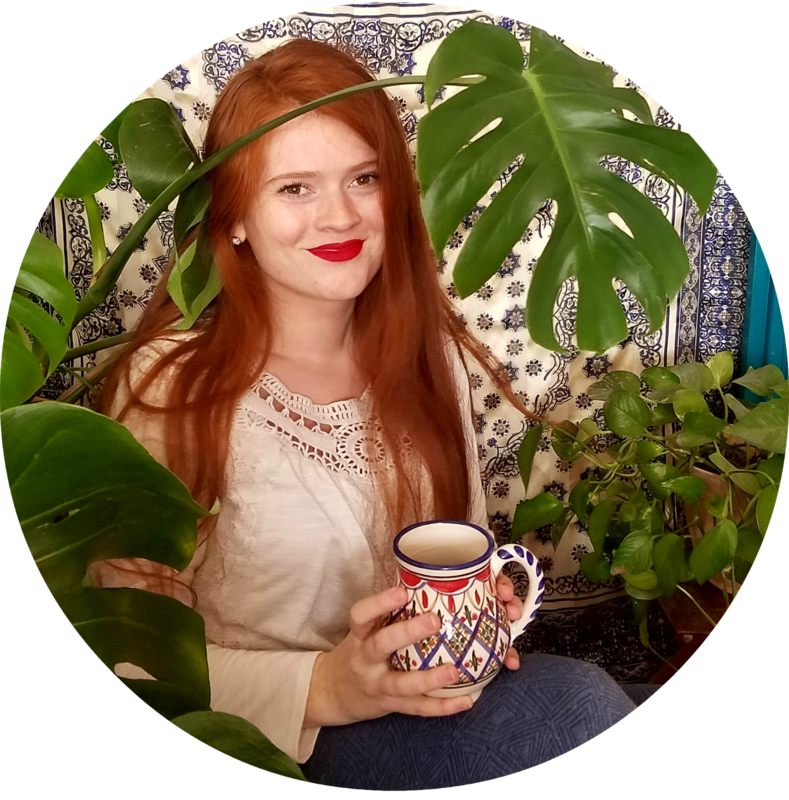 I'm taking a break from sharing what I've thrifted to share with you what I look for in the first place when I thrift. 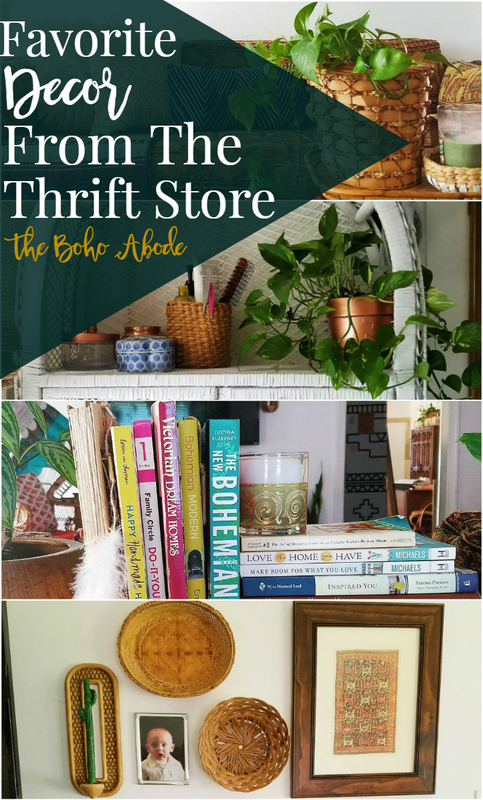 It's Thrift Score Thursday though so I thought it would be fun to work in some fabulous finds from you all from the #thriftscorethursday feed on Instagram. I may be 0-0 for finding textiles at the thrift store but that doesn't stop me from trying. Especially when thrifting prodigies like @thebohemianfleamarket are showing off their fabulous loots like this one. They just don't make them like they used to! The time and effort that went into the intricate embroidered and hand woven pieces of the past are totally rad. It's a fun way to bring in a blast from the past. I've been obsessed for years and I will continue to be obsessed for many more. I would add one to literally every room imaginable if I had my way. 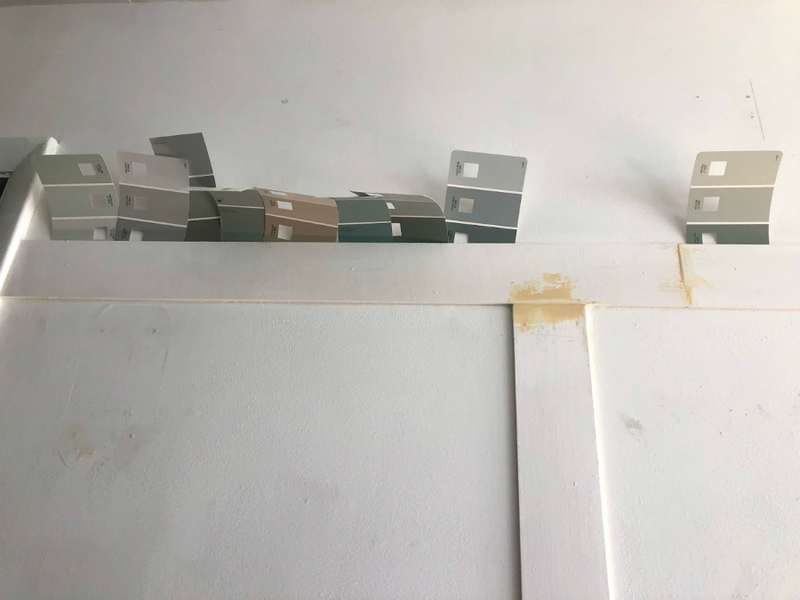 They're a perfect piece to add instant texture and interest. I enjoy reading them, I enjoy learning from them and I enjoy dissecting all the pictures for inspiration. If we don't keep things that excite and interest us around, things would get pretty boring wouldn't it? Whether for storage or for wall decor, I never skip browsing the baskets. Sometimes I find some really cool ones, sometimes I find nothing. But that's part of how thrifting goes. 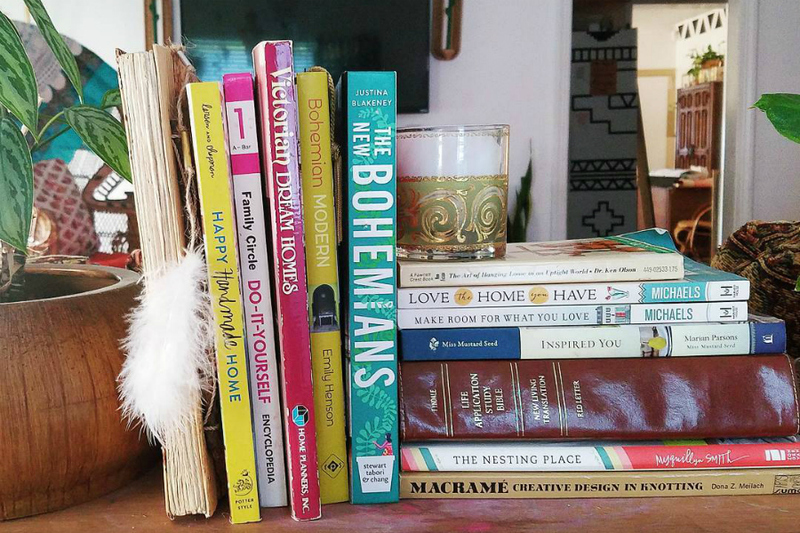 The most interesting of shelfie games always includes a good mix of thrifted and gathered items. I like to keep a healthy rotation of pretty and unique items to play around with in various vignettes to keep things fresh. I always have an open mind when I look at furniture. The chances of exactly what I'm looking for showing up are slim to none so I browse and consider possibilities for everything. You really can't know when you'll stumble across something truly perfect for your space. I love using plates as wall decor, but they also make for really good layering pieces for a pretty shelfie. I also use salt and pepper shakers for holding incense and glass cups for candle votives. Trays are perfect for pulling together little vignettes, too. 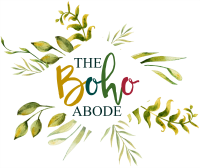 Each week, Cassie from Cassie Bustamante, Brynne from The Gathered Home, Maggie fromMaggie Overby Studios and Myself (The Boho Abode) will pick a favorite thrift score or two to feature! 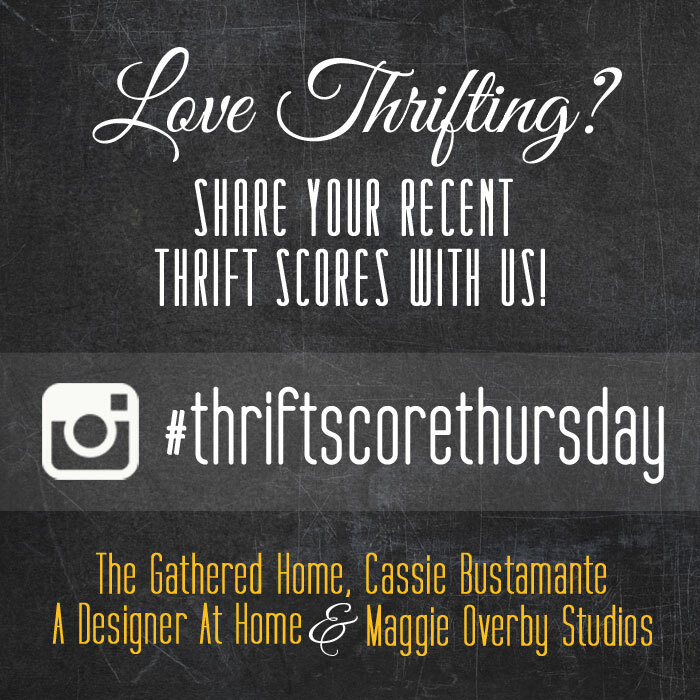 So please note that by linking up with #thriftscorethursday, you are giving us permission to share your finds via social media or on our blogs. Me too, Me too. okay well basically I buy everything at the thrift store but furniture I for sure almost never buy new. Love that dining room from Found Phoenix! I really really want that black and white marble platter. these are some of the things i look for, too! and whatever else catches my eye! Love this post, Corinna! Those are some of the things I look for as well, although I'll admit I skip the basket section more often than not. I also love checking out the dishes and glassware! I am in deep crazy love with your table and chairs! Thanks for sharing my find on your blog. I look for all of the above when thrifting but also try to keep my eyes open for anything unique nd interesting. Like just today I bought am amazing Ganesh puppet which I obviously don't need but the craftsmanship was so beautiful and it was so unique I had to bring it home.